The sound of the ES-15BLU can only described as elegant. 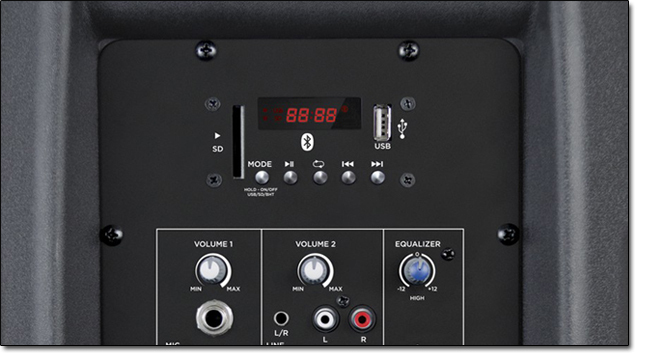 The 800W Class AB amplifier offers the best mix of power, linear sound reproduction, and pleasing musicality. Other amplifiers hype the high-end to make it seem like the music is louder, but the ES series provides the true sound in all it's fullness. Our custom designed Class AB amplifier is in a league of it's own when it comes to far reaching and great sound at an affordable price. Our transducers are articulate and responsive to the subtle and dynamic changes in your tracks. 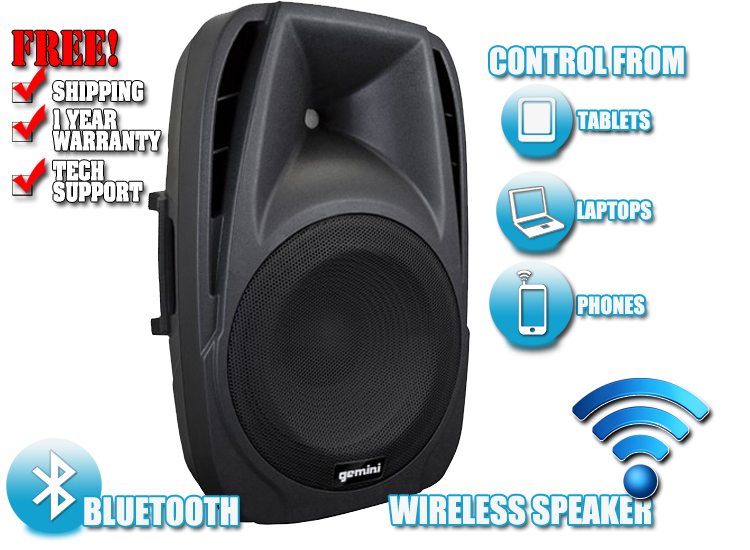 The 2 way speaker is composed of a large 12" LF woofer and powerful 2" voice coil needed to push the low frequencies nearing 50Hz around the room. The tweeter is a pure titanium compression driver with a wide dispersion horn for airy and detailed highs even at large distances or angles from the speaker. 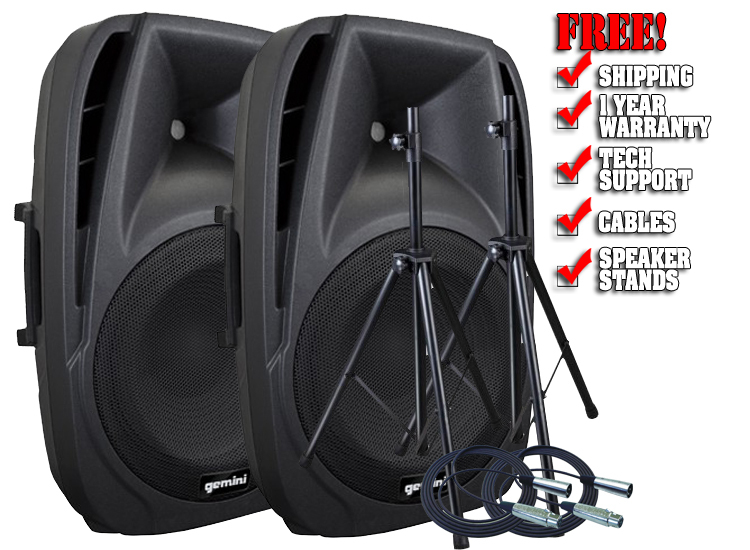 Buy a pair of ES-12BLU Speakers at get Stands and Cables FREE!